Wow, this is so stylish and the greys really look great here. I love the panelled look too, very smart. First things first - what a FAB-U-LOUS card, girl!! Clever layout + hip stamps = Chupa's heart a flutter! Secondly - what FUN news about the spot on Jill's blog! I can NOT wait to see which cards she chose, and how she interpreted them! Wahoo!! Oh Aimes...I spotted you over on Jill's blog! Can't wait to see your cards and her take on your fabulous inspiration for the next several days! Way to go! 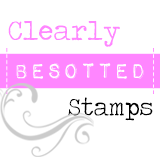 Hoping you're feeling better soon...adore the little squares on your card today...maybe we should have an eyelet swap? Or an award for the person with the most in their stash? I still have a drawer full that haven't been touched in years! 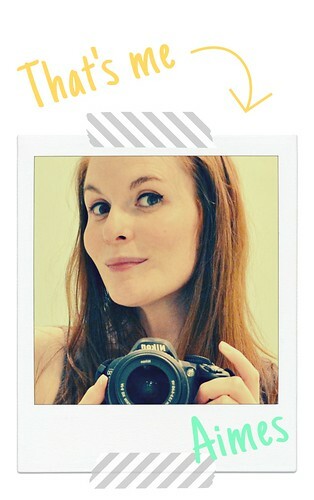 Congrats on being featured on the Inspired by blog...that's sue-pah! This is CUTE Aimes!! Congrats on the news. Hope your voice returns soon. Love your card today! What a great take on the challenge!! Thanks for your sweet words, too. You have me smiling ear to ear! HUGS! This is fabulous!! I love the clean design, and those texted blocks with the one phone...amazing!! Love how you've used the eyelets too!! I'll tell you how you ended up in fabulous company - it's because you're FABULOUS! Congrats on your week of fun features! Jill is an utter sweetheart! And your card, as always, makes me want to jump up and down in delight... LOVE it! You made this challenge seem so easy, and it was so not easy (for me, lol!). So glad you joined us for the Embellish Color Trends Challenge! Such a fun card Aimes! I love that vellum strip and yes! I believe you can bring back eyelets! Yay! So glad you're back. And this card is AMAZING! I love every single little thing about it. Thanks for joining us at Embellish, sweets! Great sketch & awesome card! And how clever of you to create your own grey cs--would never have thought to do that! How exciting to be highlighted on Jill's blog. I wasn't familiar with her work until seeing this week's Case Study. And OMG, her blog is amazing. I even took time to view a video. I have added it to my reader and am super anxious to see which cards of yours she selects! You and those phones and typewriters, I think the phone company owes you a royalty every time you make a card! And so glad to see the use of eyelets, I have a zillion of them hanging around! So cute! Beautiful. I love the added gem. Gorgeous Aimes!!! Love the blocked background! Into my CASE file on Pinterest this goes!!! Amazing inspiration! Congrats on your Inspired By feature - cool! Congrats on being 'What's Hot' Aimes!! I loved this card as soon as I saw it before so I'm not at all surprised!! I absolutely love your cards - you are a very talented artist!